"Now we have to enjoy this moment”. “In the next few days I will give an answer to the fans that have always been on my side. "It was very nice to be at Real Madrid, in the coming days I will talk about it more." Following the interview various speculation was made concerning what his comments actually meant. Many fans and pundits assumed it was a ploy to get a longer contract and more money from Real Madrid. Others thought it was just his way of being the centre of attention once again considering his below-par showing at the final. They would all eventually find out that CR7 meant exactly what he said. The concept of the comfort zone is an alien one to the Portuguese attacker. He left his hometown as a kid to join Sporting Lisbon. His constant demand to prove himself, again and again, has seen him move from Sporting to Manchester United to Real Madrid and has presently led him to the Bianconeri. The refusal of Antoine Griezmann, Francesco Totti, Steven Gerrard and many other great players to move to other clubs is proof that it is not the easy choice. Ronaldo's time at Juventus did not get off to the best start. He didn't find the back of the net in his first three matches for them. He was also shown a red card in his first Champions League game for the club and was subsequently suspended for one game. However, the Portuguese superstar just does not give in. He has gone on to score nine goals and assist five in his 13 appearances in the Serie A. This puts him only behind Krzysztof Piatek and Suso in the Serie A charts for goals and assists respectively. Ronaldo's overall goal contribution of 14 ( 9 goals, 5 assists) is higher than that of any other player in Serie A. 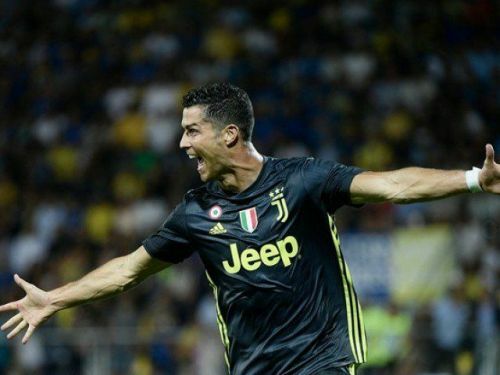 His 10 goals in 16 appearances makes him the fastest player in Juventus history to score 10 goals in all competitions. 33-year-old Ronaldo is proving himself once again in another league while his Manchester United compatriot Wayne Rooney who is of the same age has retired from international football and is plotting his retirement with DC United in the MLS. Very few footballers have had the career Ronaldo has managed. Even fewer can claim to have done it in as many leagues as He has. This feat alone has arguably made the five-time ballon d'or winner the greatest player of all time.